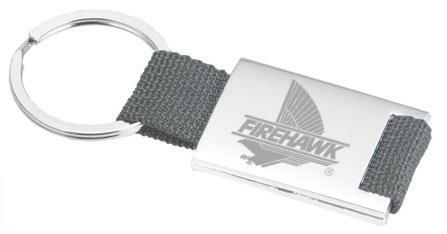 These polished sterling silver keychains feature a laser engraved Firehawk logo on the top side. They are a great gift idea for the Firehawk enthusiast. Keychains are available with either a red or blue colored flex band. This product is officialy licensed by General Motors.